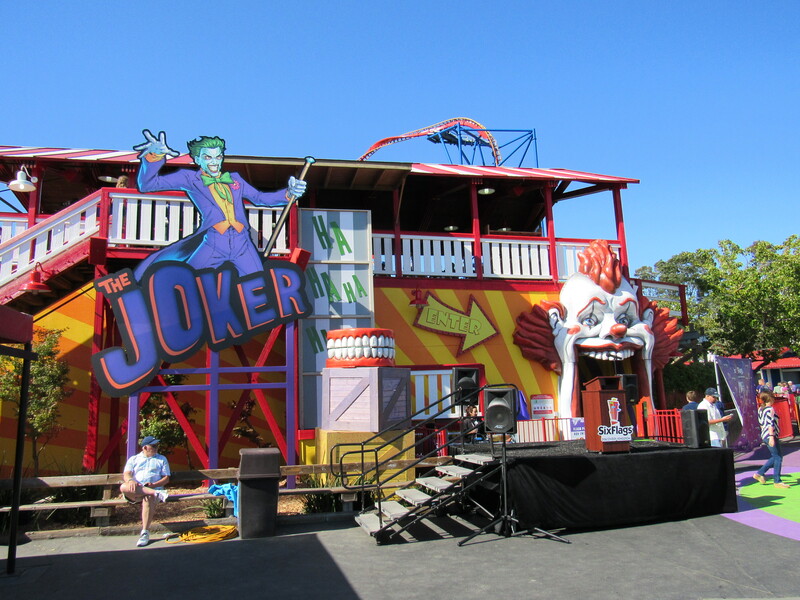 After months of anticipation, Six Flags Discovery Kingdom hosted Joker’s media day Wednesday. The park did a fantastic job with the morning media event and afternoon VIP event showcasing the brand new Rocky Mountain Construction roller coaster. Most importantly, Joker itself was phenomenal. The day consisted of two events, a morning media event and the afternoon VIP event. We were lucky enough to attend both and had plenty of time to test-ride Joker. 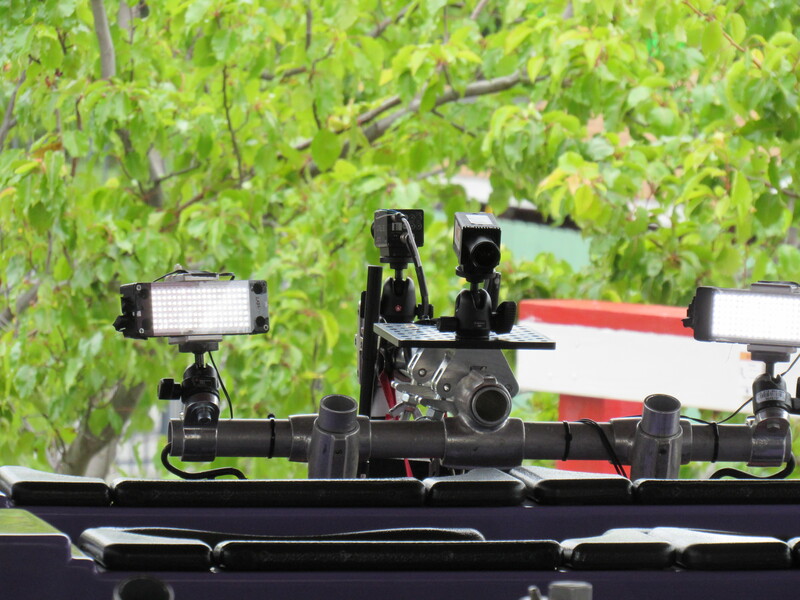 News crews from Southern California to Canada were present to promote the brand new coaster. Once everyone was settled, Six Flags Discovery Kingdom held an exclusive opening ceremony before anyone was able to ride. Twelve comedians boarded the first train and our writers were able to ride in the back row of the same train. Multiple news channels additionally streamed to their respective channels while on-ride. The ride itself is truly a stand-out coaster. Even the pre-lift provides airtime and lateral G-force. This ride can also greatly change depending upon where you sit in the train. While the front does have a smoother, more graceful ride experience, the back seat is much more intense. In my opinion, the best part of the ride in the front seat is the entrance into the step-up under flip inverted roll and the best part of the ride in the back seat is unquestionably the first drop. 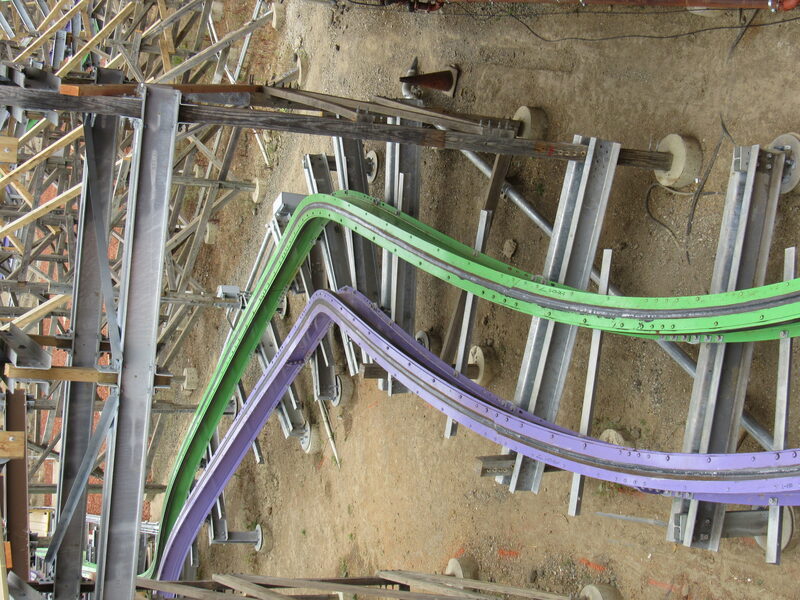 Alan Schilke, the designer of the ride, said later in the day that his favorite seat is the front row, right side, and everyone I had been speaking with either preferred row 1 or row 11, the front of the last car of Joker’s train. Joker retained a high amount of speed leaving the step-up under flip and continued straight through the inverted stall. Although there were only a couple seconds riders were held inverted, considerable hang time was provided throughout the element. 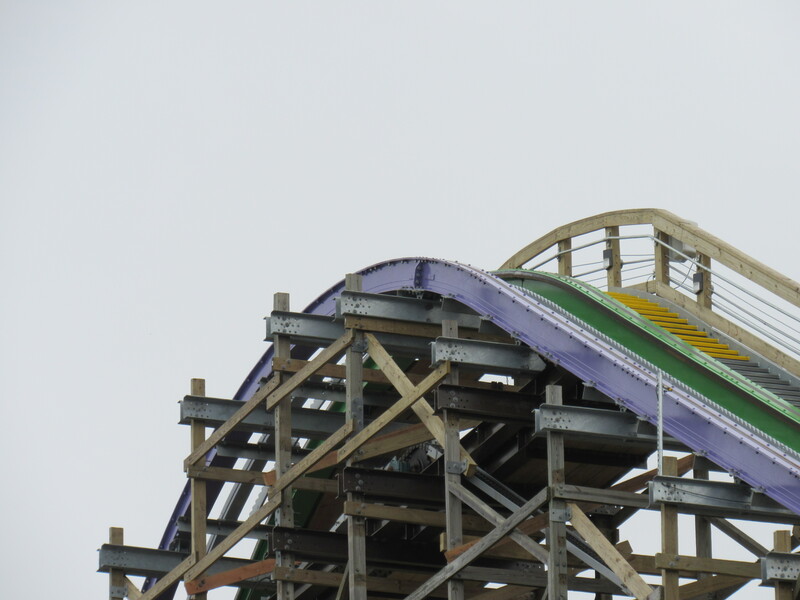 Joker’s relentless layout continues through outwards-banked hills, a breaking wave turn, and an overbanked curve before the Asian camelback, shown above. Exiting the Asian camelback undoubtedly provided some of the best airtime on-ride. Overall, Joker is truly an extraordinary ride. 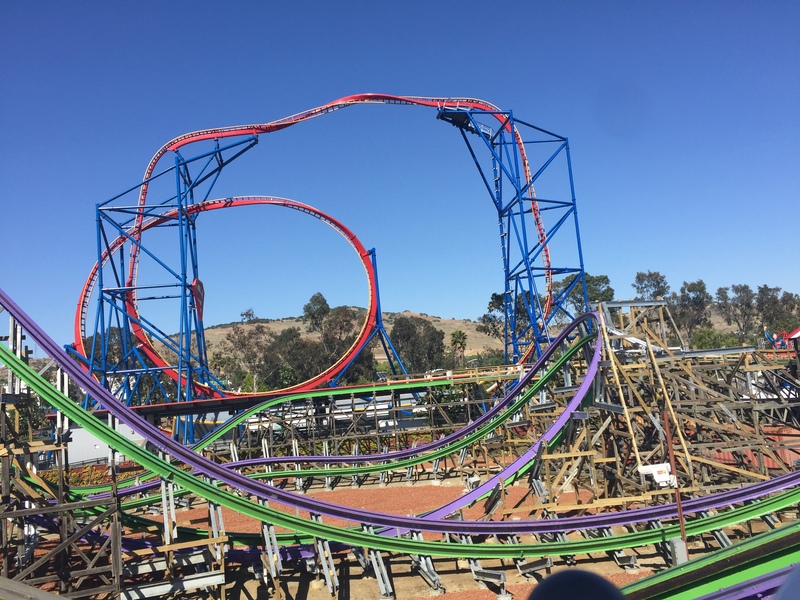 The unceasing layout provides both intense positive and negative g-forces throughout the layout to create a strong contender to become the best roller coaster of 2016. The afternoon event featured a very similar opening ceremony and allowed for photography with a very different sky. A look at the set of teeth up close. 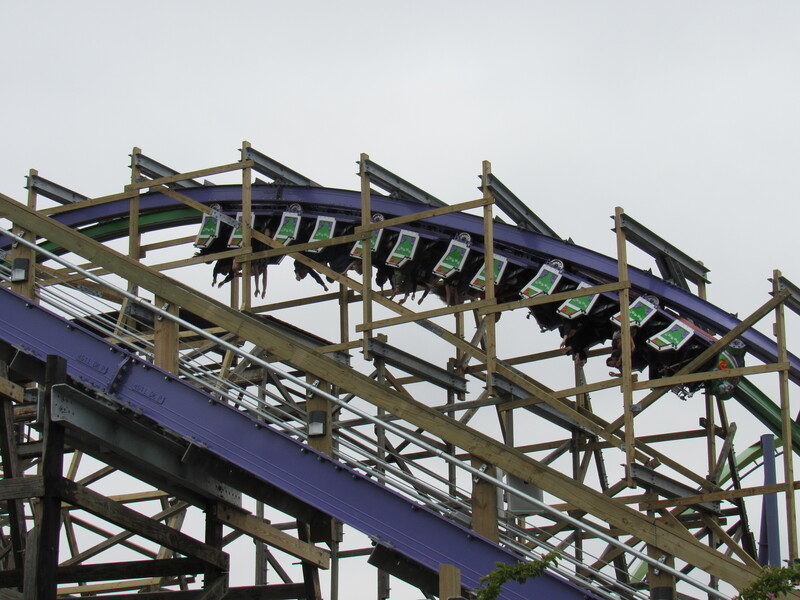 Looking inside the Joker’s mouth, this is the final part of the coaster’s queue. The stairwell heads directly up to the ride’s station. 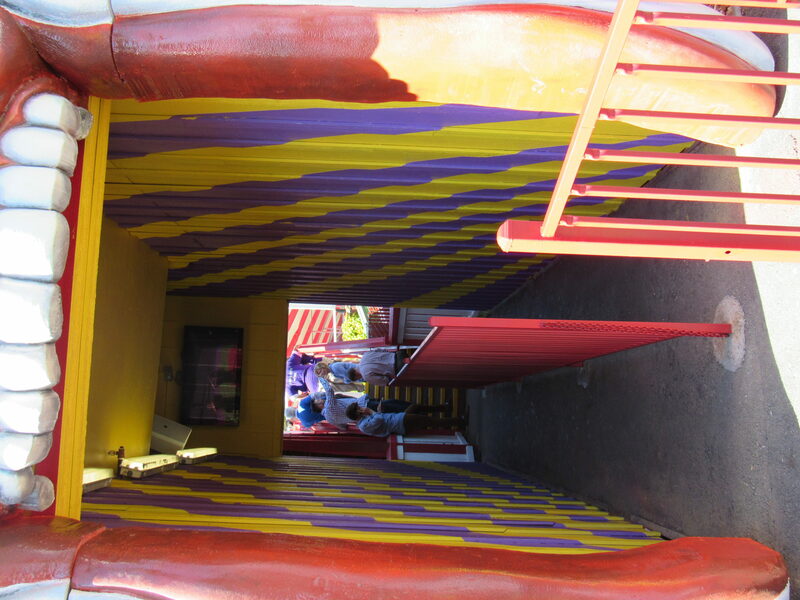 Joker’s queue will exit into the gift shop featuring on-ride photos and merchandise. While we could not see our photos, the camera was already working on-ride. The park was nice enough to open Superman: Ultimate Flight for the afternoon VIP event as well. Between the two events, I was able to get four rides on Superman: Ultimate Flight without having to leave the train and 19 on Joker in total. In total, we had a fantastic day at the park test-riding Joker. The triple inverting coaster is open to season passholders Friday and Saturday, and it makes its official public debut on Sunday, May 29. Thank you to Nancy Chan, Don McCoy, Kirk Smith, and the whole crew for making this event possible. All photo credits go to our own writers Carter and Keltan, TheCodeMaster, and Great American Coasters. 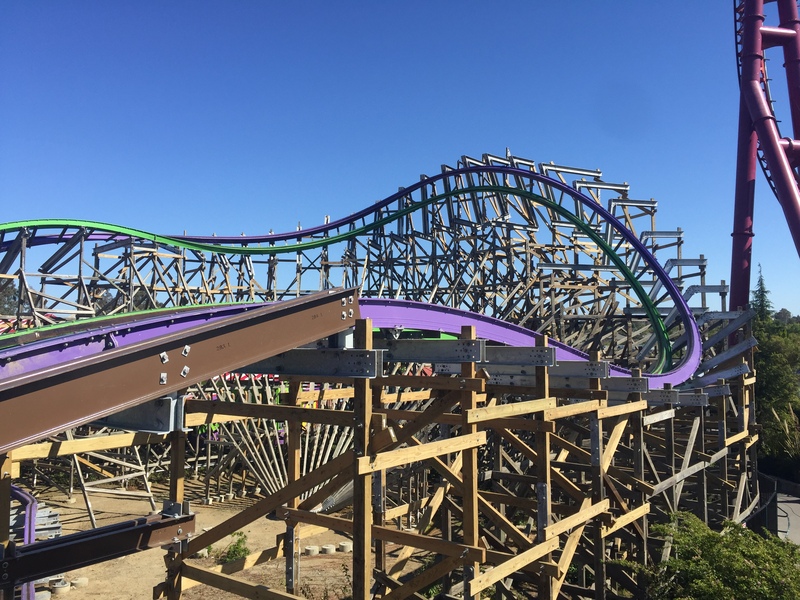 Will you ride Joker in 2016? Let us know in the comments below!